Halloween no-prep early literacy activities! Fun Halloween, no-prep early literacy activities! It’s nearly Halloween, and if you teach beginning readers and writers, kindergarten or first grade, I’ve got some fun Halloween, no-prep early literacy activities and links to share with you! Reading Buddy Activities: 1) Have your students make a Halloween card for their Reading Buddies – provide black construction paper and chalk for those who want to make ghosts, and seasonal color choices for others. A print-and-go card, and printables for the next activity have been added to The Reading Buddies Starter Pack (a free update for those who already own it!) 2) Halloween Guessing Game: Talk to your students about how to give clues about their Halloween costume, without actually giving it away. The Reading Buddy ‘detectives’ can share clues with each other, then make predictions prior to Halloween. Clues can recorded if you choose, or just discussed. Franklin’s Halloween is a great mentor text for this activity, and for another one coming up! If you have purchased this Sight-Word-Stages Reader, Halloween Things, or any of the Bundles it comes in, you already have this cut and paste activity for the sight word ‘the’! Fun tip for use: copy the page with the letter / word tiles in orange! If you have been following me for a while, you may have read my post about The Flexibility of 3-part Graphic Organizers. The Franklin stories by Canadian author Paulette Bourgeois, illustrated by Brenda Clark, is a favorite of mine and I often use them in my teaching. 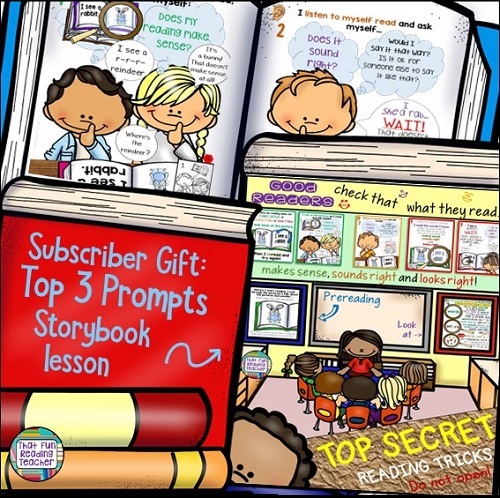 3-part Graphic Organizers are included with every one of my #ReadAndWriteAndMore sets. Ready for a break? The kids will be too. Have them rotate to a quiet time at the computer to listen to someone read them a Halloween story, learn a song or two. English language learners may pick up some Halloween vocabulary in a short video to use socially later on.